What are the benefits of using snapchat? Recently snapchat has been promoted by 16 handles, in which the company claims that it is the first brand involved in the promotion of snapchat. This was done through a campaign called “Snappy Nw year” . In this campaign, the facebook fans of snapchat were asked to forward the snap or photo of their frozen yogurt purchase to the snapchat account of the company. By doing this, the people participated in this campaign, snapchat provides a coupon. This can be redeemed at the time of the registration. The main reason for the company to choose snapchat for this promotional campaign is due to its specific feature of self destruction of the images or photos. Here, when the image or photo of the coupon destructs or disappears within some seconds, it will prevent the others to copy the images of the coupons and share with others. Avoid risks: The social media like snapchat act as a good platform for initiating online marketing campaigns. By using snapchat, you can grow your business as it is a good marketing tool that you would get in the social media platform. Snap chat helps your business to reach to its target customers easily. Thereby, it will be a good media to increase your brand image among your target audience, which in turn helps you to boost your business sales. Helps in private messaging: Another prime feature of snachat is that it helps in private messaging and to reach your target audience in an more confidential way. For instance, in a marketing campaign of a healthcare industry, some patients like HIV patiets may not a like to have public conversation through emais or facebbok. This platformof snapchat is a good option for such people where the company can send them medical details or any messages privately. 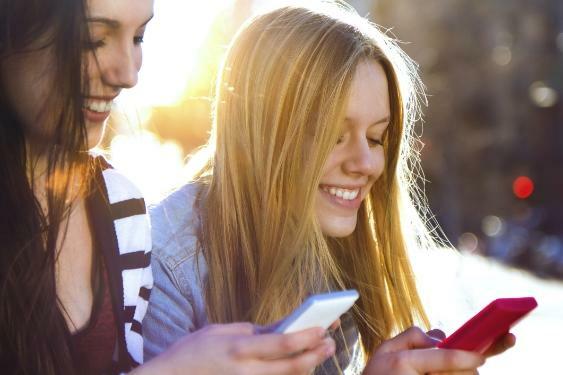 More teen reach: This newly added member in the social media marketing platform and with its self destructing feature, more teens are attracted to snapchat. As per the Pew survey results in 2012, the social networkimg giants like instagram, pininterest etc are making more than half of their profit from the teens from 18-29 years. The interesting and noval features of snapchat also seen attracting more teens towards it. New engaging ways: Snap chat providesa good social networking platform that helps in engaging more people. People can interact within snapchat by sharing the selkf destructing images, photos and text messages. Sometimes if you would like to share any confidential information, this is a the proper place to shareit. With its self destructing feature of images, the further risks of others seeing such photos or images can be eliminated. Moreover, snapchat helps in marketing campaigns. In the world of mobile applications, even though snapchat is a newbee, the noval features it provides makes it a good online marketing platform. In the Apple’s app store, Snap chat is now one of the most downloaded free app according to the statistics of January 2013. The growing popularity of snapchat is mainly due to its unique benefits and features!